We’ve finally arrived at the Top 10. The five schools listed today consist of four that could take a step forward on the field in 2015, and the defending national champion. Over the next week, we’ll unveil five schools per day on our list of most expensive average prices for college football teams for the 2015 season. All prices listed below are from the secondary market and all data is provided by TicketIQ. 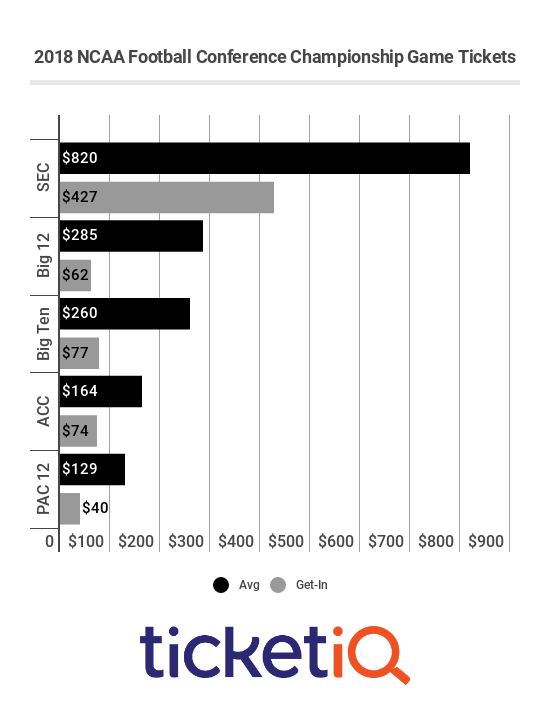 The rankings and price changes are compared to the 2014 preseason TicketIQ Top 25. Texas will be heading into the second season of the Charlie Strong era. 2014 was a rebuilding year that saw the team in transition finish with a 6-7 record. But heading into Year 2, hopes are high in Austin. Even while the team was not performing, the Longhorns still had some of the most expensive ticket prices on the secondary market, but Texas football tickets will be even pricier this year with higher expectations, with a jump of nearly 16% over last season. No Longhorns home game really stands out, with all roughly priced evenly. The most expensive game comes on November 26 against Texas Tech with an average of $165.20 and a get-in price of $46. Of the 25 schools on the TicketIQ Top 25 this year, LSU is the only one to stay in the same rank. Though even though LSU football tickets are still ranked ninth, the average price has gone up nearly 8% on the secondary market. The Tigers were one of a many teams that had a tough time navigating through the SEC last season, Sports-Reference’s SRS pegged them with the 10th toughest schedule in college football last season. That helped lead to an 8-5 record. LSU’s most expensive game this year will be against a team in a similar situation last year, Auburn, with an average price of $277.12 and a get-in price of $103 at Tiger Stadium. Tennessee hasn’t been in the SEC title picture for most of the past decade. For the past seven seasons, the Volunteers have finished the year with either seven wins or seven losses, no inbetween. That hasn’t deterred Vols fans, though, as Tennessee football tickets have increased nearly 20% on the secondary market from last season. The home opener at Neyland Stadium will be the most expensive of the season, September 12 against Oklahoma. The current average price for the game is $351.68 with a get-in price of $122. Ohio State is the only school in the top-10 to be there despite a price drop from last season. It may seem strange that prices would fall so far after the Buckeyes won the first College Football Playoff, but the season average price for Ohio State football tickets can sometimes be based on one thing; do they play home against Michigan? Last season they did and it was one of the most expensive games in college football. This year that game is at the Big House, taking a premium game away on the schedule. Ohio State’s most expensive home game this year comes against Michigan State on November 21 with an average of $292.52 and a get-in price of $148. For seven straight seasons, the whole Bo Pelini era, the Cornhuskers have not lost more than four games in a season. In fact, they’ve lost exactly four in each of those seasons with the wins fluctuating from nine to 10. Nebraska has been one of the most consistently good schools in the country, whether playing in the Big 12 or Big Ten, though there’s never been a breakthrough season. With success expected again in Lincoln, it’s not much of a surprise that Nebraska football tickets have increased almost 30% on the secondary market.